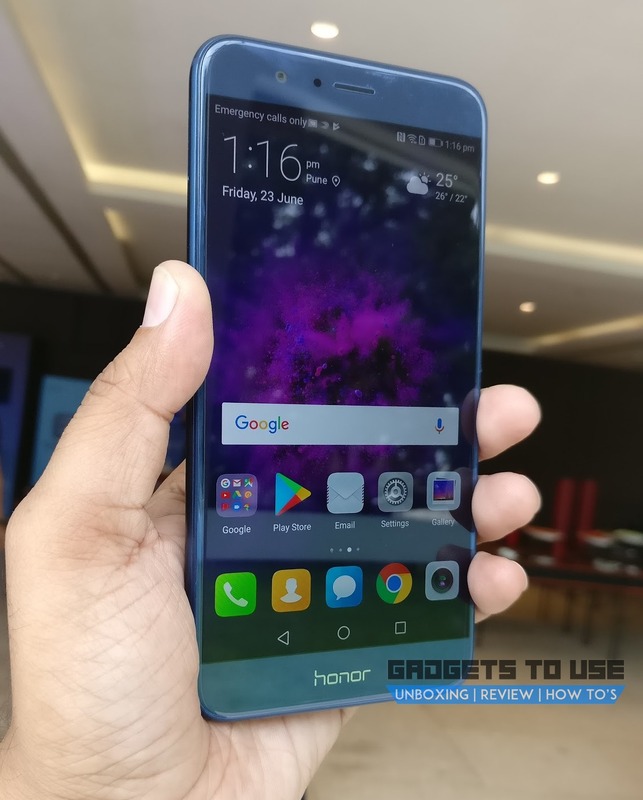 Honor recently launched its latest flagship device, the Honor 8 Pro in India. The Honor 8 Pro is priced at Rs. 29,999 in India. The phone is an Amazon exclusive and will be available for sale on from July 10. Some major highlights of the smartphone are its 12 MP + 12 MP dual camera set up, a 4,000mAh battery and a combination of 6GB of RAM and 128GB internal storage with Huawei’s Kirin 960 processor. 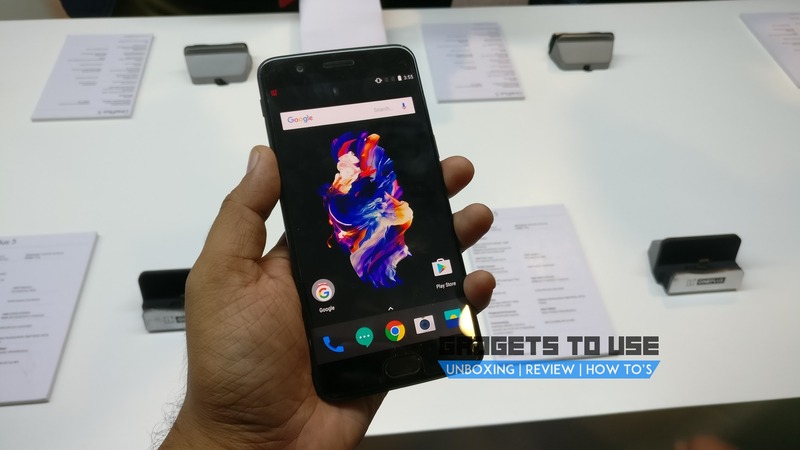 Given its price, it is the closest competitor to the OnePlus 5 that was launched last month. While the Honor 8 Pro costs Rs. 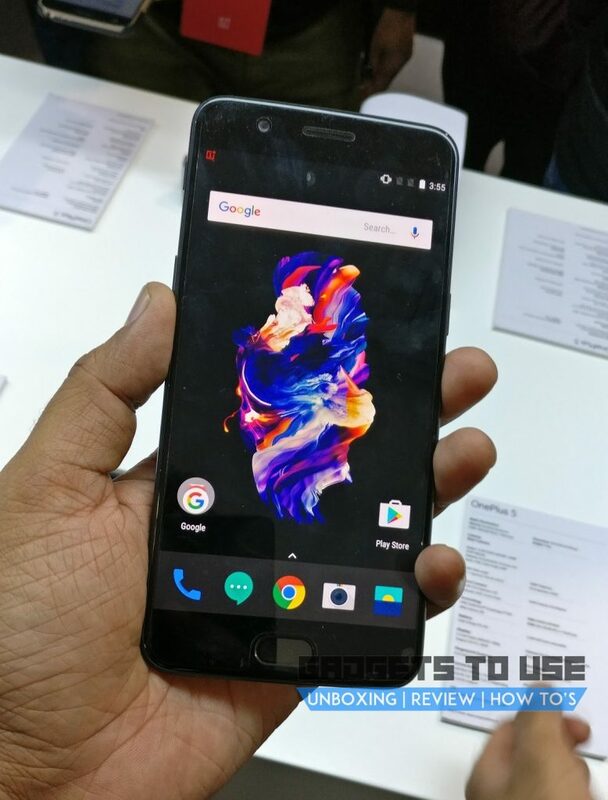 29,999 for the 6GB / 128GB version launched here, the OnePlus 5 costs Rs. 32,999 for the 6GB / 64GB version and Rs. 37,999 for the 8GB / 128GB version. Based on the price and the specifications we have done a quick comparison between both the Honor 8 Pro and OnePlus 5 devices. How the two flagships stand against each other, let’s take a look. Honor 8 Pro sports a sleek design with 6.97 mm thickness. The metal unibody with rounded edges and thin borders make the phone easier to hold. It feels premium with a fine finish and glass layers at the rear. OnePlus 5 is also a good-looking phone, but it doesn’t seem original. The thin metal rounded frame with the antenna bands placement, the dual camera setup are the almost identical design to iPhone 7 Plus. The OnePlus 5 comes with a 5.5″ AMOLED display with 1920 x 1080 pixels screen resolution and offers a pixel density of ~401 PPI. The display is protected by Corning Gorilla 5. The Honor 8 Pro features 5.7″ IPS LCD display with a resolution of 1920 x 1080 pixels. It features vibrant rich colors and great sharpness with pixel density at ~551 PPI. The protection used in Honor 8 Pro is Coning Gorilla Glass 3. The design of both the phones is identical in some ways. However, there are some points in which Honor 8 Pro surpasses OnePlus 5. The dual camera setup in Honor 8 that doesn’t bulge out like OnePlus 5 is one example. Also, as we can see Honor 8 is offering a slightly bigger display and better resolution. You can find Honor Pro 8 better in this regard. The Honor 8 Pro is powered by the company’s own HiSilicon Kirin 960 chipset with octa-core processor clocked at 2.4 GHz. It is coupled with 6GB of RAM and has 128GB built-in storage. The internal storage can be expanded by another 128GB using microSD with the hybrid card slot. On the other hand, the OnePlus 5 comes with a Snapdragon 835 chipset with octa-core processor clocked up to 2.45 GHz. This is further coupled with 6GB or 8GB of RAM and 64GB/128GB internal storage. The internal storage cannot be upgraded which can be a drawback for some users. By looking at the hardware of the two devices, we can say that OnePlus 5 with Snapdragon 835 SoC can be slightly better but then again Kirin 960 on Honor 8 Pro is also a powerful chipset. Also, if we talk about storage, Honor 8 Pro has an advantage of expanding internal storage that OnePlus doesn’t have. The Honor 8 Pro runs on Huawei’s own Android skin EMUI 5.1 which is based on Android 7.0 Nougat. EMUI 5.1 is the best version of Emotion UI so far. The phone doesn’t lag and the apps, animations & graphics are slick and smooth during regular as well as heavy usage. The OnePlus 5 runs on OxygenOS 4.5 based on Android 7.1.1 Nougat. OnePlus has not made any major changes to the stock Android UI, only adding a few customization options in the Settings. And, when it comes to performance, OnePlus also performs better with the latest version of OS. When it comes to the software, at this point it is a subjective matter. Both the phones perform smoothly without any noticeable lags or issues. The Honor 8 Pro sports a dual camera setup at the rear with both the cameras of 12 MP resolution with an f/2.2 aperture. Its RGB and monochrome sensors capture sharp pictures in daylight with great contrast level, well-exposed colors, and richness. The camera features include Laser Autofocus and 4K video recording. At the front, it features 8 MP camera with f/2.0. The selfie shooter is also impressive. The OnePlus 5 also features a 16 MP + 20 MP dual rear camera with f/1.7 and f/2.2 apertures respectively. The camera features include PDAF, 2x optical zoom, dual-LED flash. At the front, a 16 MP, f/2.0 camera is quite impressive too. It is also capable of recording 4K videos and shooting in RAW format. Once again, both the phones perform very well in this department. 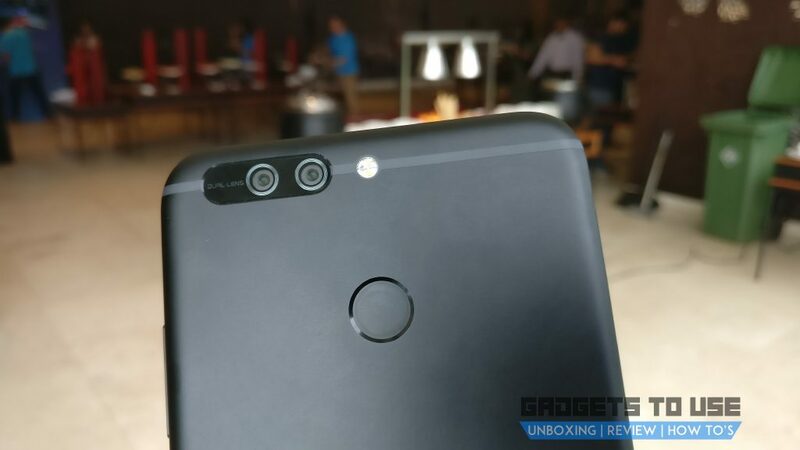 However, it does seem like the Honor 8 Pro may have an upper edge in terms of rear camera performance. 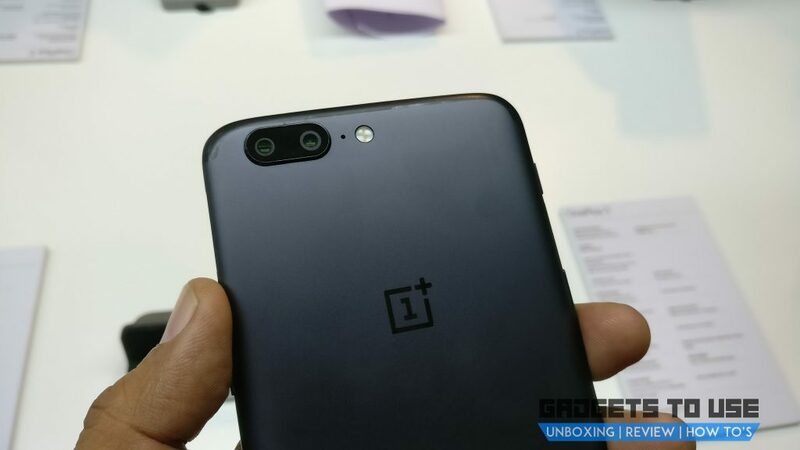 OnePlus 5 is reported to get additional software updates in the future to enhance its camera performance. Battery again is the decisive component between both the devices. The Honor 8 Pro houses a massive 4000 mAh battery that performs really well. On the other hand, the OnePlus 5 comes with a slightly smaller 3300 mAh battery. So, Honor 8 Pro takes the lead in this department. The Honor 8 Pro is priced at Rs. 29,999 for the 6GB/128GB combination. The OnePlus 5, on the other hand, is priced at Rs. 32,999 for its 6GB/64GB variant. The 128GB variant of OnePlus 5 with 8GB RAM is priced at Rs. 37,999. Both the phones are available on Amazon.in. So, Honor 8 Pro here definitely has an advantage of being economical over the OnePlus 5 when it comes to the price. There are few considerable differences between the two devices. In some areas, the OnePlus 5 has the upper hand while in others like Design, Display, Camera and Price, the Honor 8 Pro comes out on top. If you are a not a big fan of any of the brand and only looking for a flagship premium device, then the Honor 8 Pro is worth considering. Because of its features, premium look and still being economical, the Honor 8 Pro can be a good buy.